Ryan Hughes founded Tuple Legal in 2017. Before that, he represented nonprofit organizations, trade associations, labor unions, corporations, political action committees, and ballot measure committees in nonprofit and political ethics compliance matters. He is the founder of Dollar Dollar Bill, a charitable nonprofit dedicated to tracking and reporting California campaign finance data. 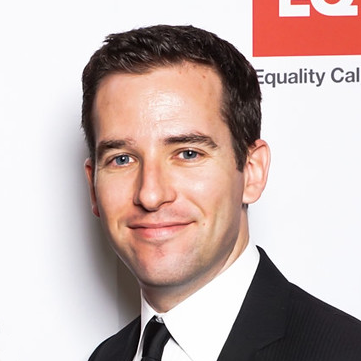 Following law school, Ryan served as political researcher to then-Attorney General Jerry Brown and Assembly Speaker John A. Pérez. During law school, Ryan was a judicial extern for Justice Carlos Moreno of the California Supreme Court. In law school, Ryan drafted regulations to implement statewide ballot initiatives and mediated small claims cases with litigants. Following college, Ryan taught sixth grade in a high-needs area of the Mississippi Delta as a Teach For America corps member. In college, he interned for Governor Gray Davis and worked on Governor Davis’ anti-recall committee. Ryan has served in leadership roles for several progressive organizations. He was a fellow and board member of New Leaders Council, a group that supports progressive social entrepreneurs. He served on the board of the San Fernando Valley Young Democrats. Ryan got his start in politics by helping to build one of the largest and strongest College Democrats clubs in the nation. Attorneys in California are encouraged to volunteer 50 hours per year of pro bono legal services. In 2017, Ryan volunteered over 50 hours to help get a child out of a dangerous custody situation. New research shows the California Legislature has paid out at least $1.9 million over the past 25 years to settle sexual harassment claims, all of that taxpayer money. The research comes from Tuple Legal, a firm founded in 2017 by attorney and former Democratic Capitol staffer Ryan Hughes. He arrived at the number by compiling information from case settlements, court filings and media reports. He found the Legislature paid out an additional $306,000 for cases that may or may not have involved sexual harassment. With a new report showing that the Legislature has paid nearly $2 million worth of taxpayer money to settle sexual harassment claims over the past 25 years, there’s truly no excuse for Sacramento not to adopt basic protections for everyone who works under the Capitol dome. The research released this week by Tuple Legal, a nonprofit law and political research firm, details the past 25 years’ worth of only known, formal settlements. But that is damning enough.